Happy Monday! 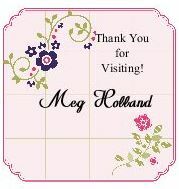 Here is one of the make and take projects from my Holiday Open House. 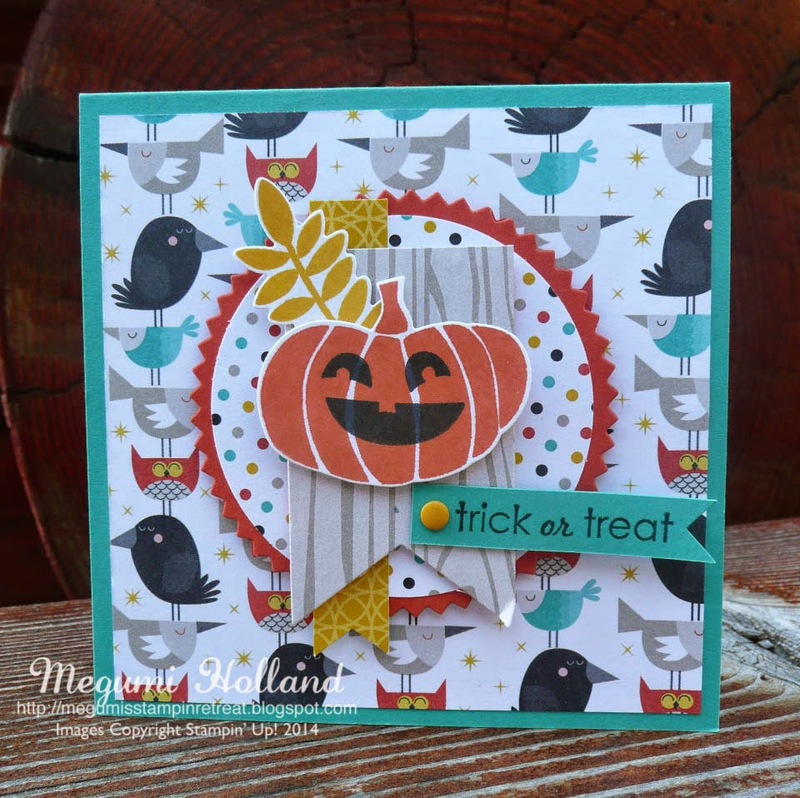 I LOVE the new Halloween paper called "Motley Monsters Designer Series Paper!" It's really cute and the colors are beautiful. Isn't this pumpkin so adorable? It's from the new stamp set called "Fall Fest Stamp Set" which has 11 stamp images in a set! 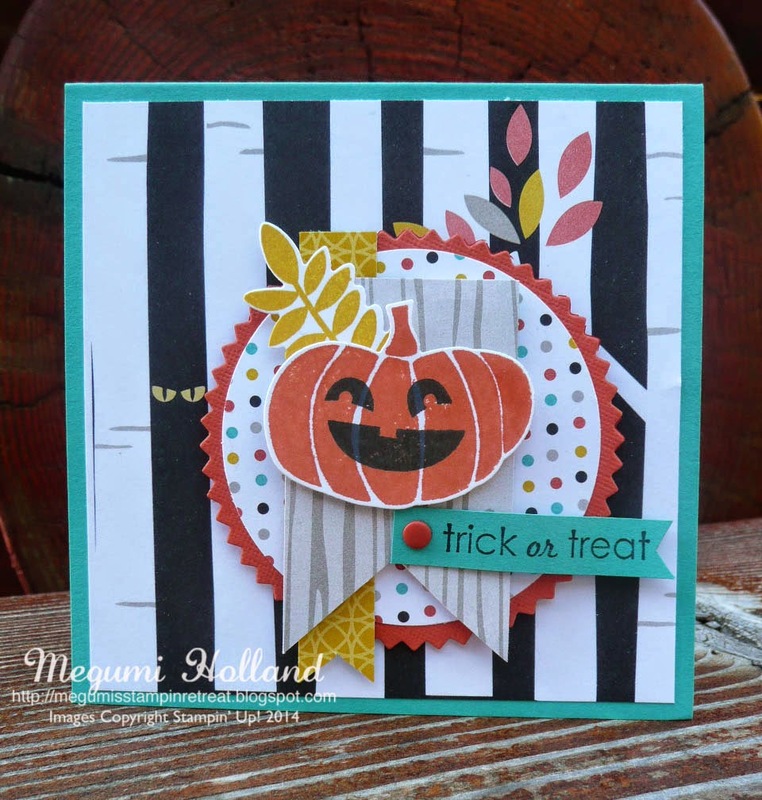 This stamp set coordinates with Fun Fall Framelits Dies to die cut stamped images so easily. 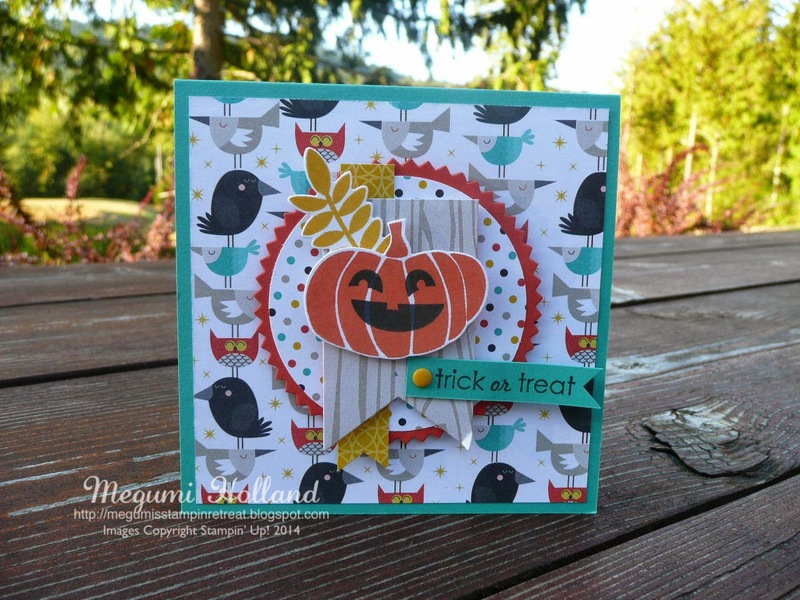 You can get both stamp set and die set as a bundle to save 15%!!! 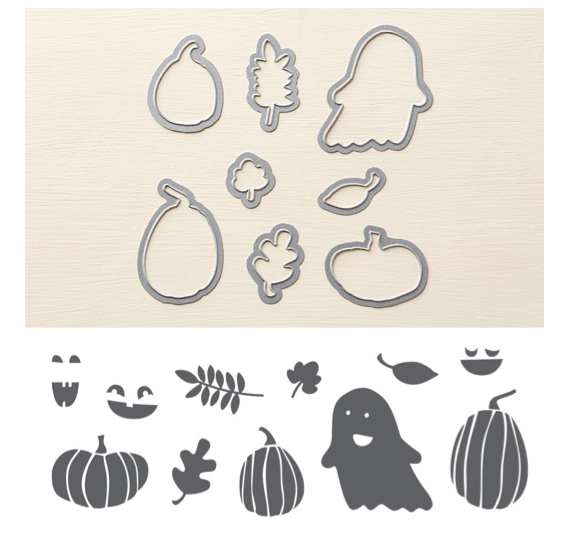 With this set you will be all set for your Halloween and fall creations!! !